One headline dominated the news on immigration in the third week of February 2018. We’re talking about the much-reported Tony Abbot’s comment on immigration cut and the backlash (or support) he received for that comment. One backlash stands out from the crowd came from the Treasurer, Scott Morrison. As you probably have known, the former prime minister wants Australia to have fewer immigrants intake, namely 110,000. That’s 80,000 less than the current intake of 190,000. The cut, he believes, “would improve quality of living” before adding that the cut is needed “until infrastructure, housing stock and integration has better caught up”. “My issue is not immigration; it’s the rate of immigration at a time of stagnant wages, clogged infrastructure, soaring house prices and, in Melbourne at least, ethnic gangs that are testing the resolve of police,” Mr Abbott told the Sydney Institute. In response to Abbot’s comment, which actually a comment on Peter Dutton’s statement just a week prior, Treasurer Scott Morrison gave his two cents on the matter. He said that immigration cut would hurt the federal budget. 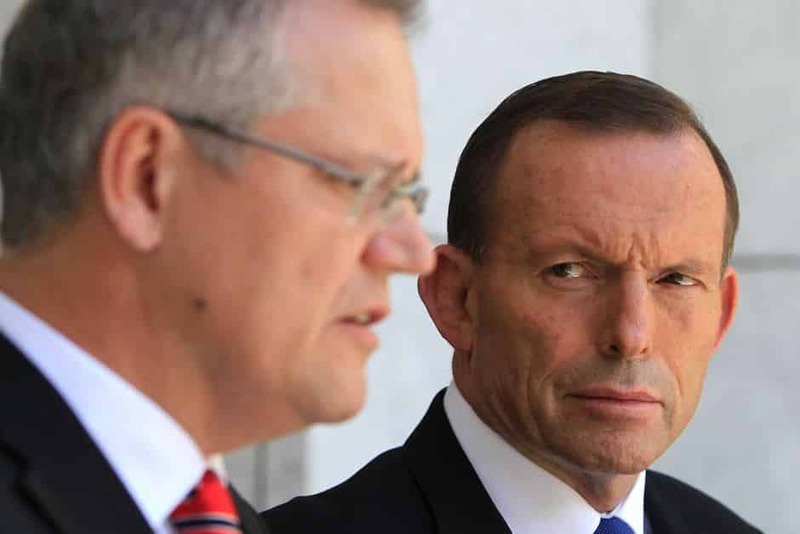 Using the same economic “common sense” Abbot based his comment on, Morrison said that an 80,000 cut is tantamount to a drop of AUD 4-5 Billion from the budget. (Yes, ladies and gentlemen, immigration is an apparently a good business if a fraction of the total number could generate that amount of money). “If you take this proposal, this is what it means. You’d have to drop [the intake] by 80,000. The hit to the budget of that would be about $4 billion to $5 billion over the next four years. Immigration Cut. So, Who’s Right? Morrison’s point seems to be in line with the opinion we wrote several months ago. Australian economic growth is only as impressive as its population growth. If you take out the latter, you know what’s coming. Apparently, that’s a risk Abbot is willing to take. Of course, it’s debatable of who’s correct on this issue. But it went from a basis of a debate into some he said she said type of argument really quick. Just this morning, Abbot hit back at Morrison, while Ministers Mathias Cormann and Steve Ciobo seemed to agree with Morisson. On the more literary side–literally speaking–things weren’t as heated as on news side. Lau Siew Mei, the author of Playing Madame Mao (2000) has just released her third novel, The Last Immigrant. Lau Siew Mei in her third novel, The Last Immigrant. The new novel tells the story of Ismael, a Singaporean of Iranian descent, who finds himself in a strange place as an Australian immigrant and a case officer for asylum seekers coming to Australia. (That’s one helluva odd situation he’s having, we can tell you that). As an Australian immigrant herself (she migrated in 1994, and is an Australian citizen now) Ms. Lau understood all too well about how Australia coped with immigration-related issues, debates and controversies. In her interview with The Strait Times, she hopes that the readers of her last novel can grasp what she’s trying to say. “I’m not saying every illegal immigrant is a good immigrant. But I hope readers can begin to see people of a different skin colour, race or culture, not as a mass, but as individuals.